Where To Start With Big Finish: The First Doctor | Warped Factor - Words in the Key of Geek. 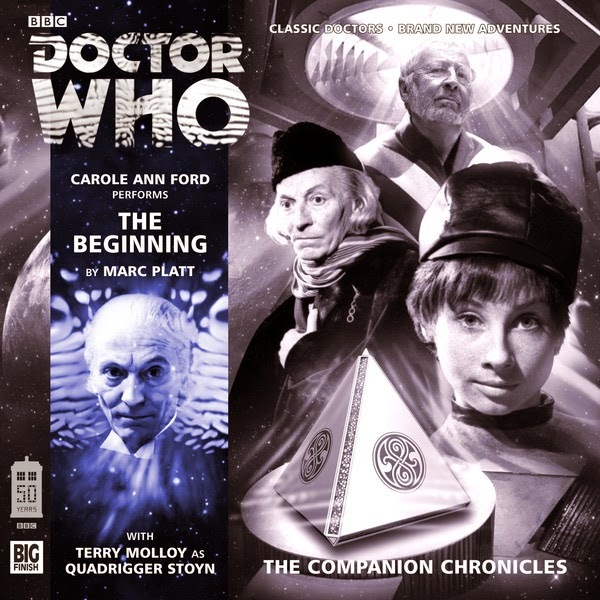 In the vast and bewildering chronology of stories available from Big Finish, Tony Fyler picks out some of the best to jump in with from the First Doctor. Before we begin, a disclaimer. I haven’t heard all the Big Finish range. It’s been putting out stories now for fifteen years, at roughly the rate of at least one a month, across a sometimes-bewildering galaxy of ranges – there have been many whole companion-lives lived, died, occasionally lived again just like in the TV show. They’ve added depth to characters from the show, they’ve redeemed monsters that looked a bit naff on screen or were given no backstory. They’ve added prequels or sequels to many favourite monsters…so where do you start? This is a title that promises a lot: it tells the story of the Doctor’s escape from Gallifrey with Susan, and hints at why Earth has always been the Doctor’s second home. While it never of course entirely scratches the itch of the central mystery of the show, it does scratch the curiosity all around it, and also introduces us to a typical Time Lord at the time the Doctor escaped – Terry Molloy Not-Being-Davros for all he’s worth as Quadrigger Stoyn. For a cogent early statement of the First Doctor’s beliefs and motivations, even if he doesn’t yet entirely know or understand them himself, this is worth picking up. Besides, you know it’s a thrill to go ‘behind the scenes’ of what we know, and meet the Doctor before he encountered the civilising influences of Ian and Barbara. Back in 1963, scripts were taking a while to hammer into place. 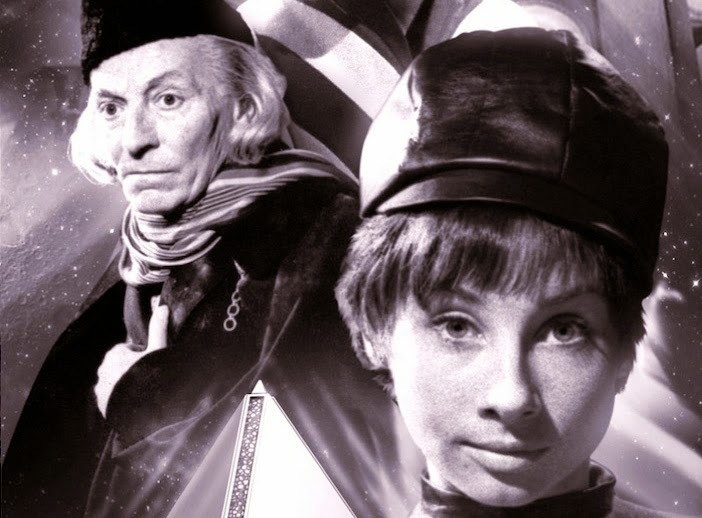 What we know as established history – An Unearthly Child was followed by The Dead Planet (aka The Daleks), and Doctor Who’s popularity exploded – is to some extent a happy accident. The Masters of Luxor is the story that had been scheduled to run in the slot we now all think of as belonging to the screaming pepper pots. 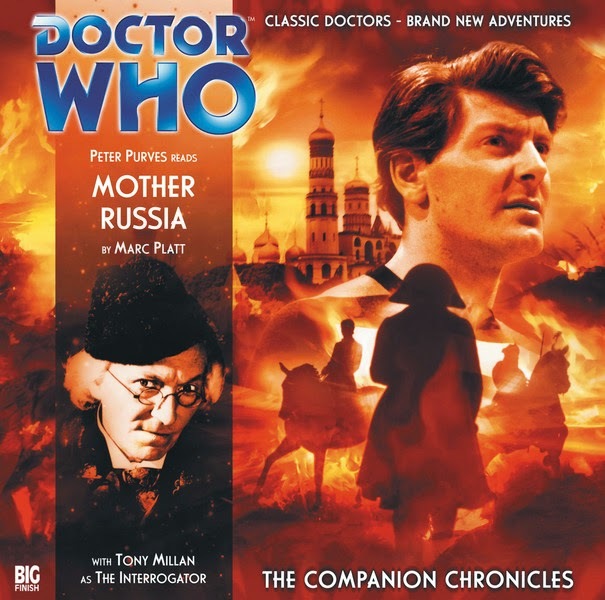 Worth a listen almost just for the morbid curiosity about how things could have been, there are also themes here that echo through Deep Breath, and it’s also fascinating to see an alternative version of the fledgling Tardis crew’s development – complete with religious references. 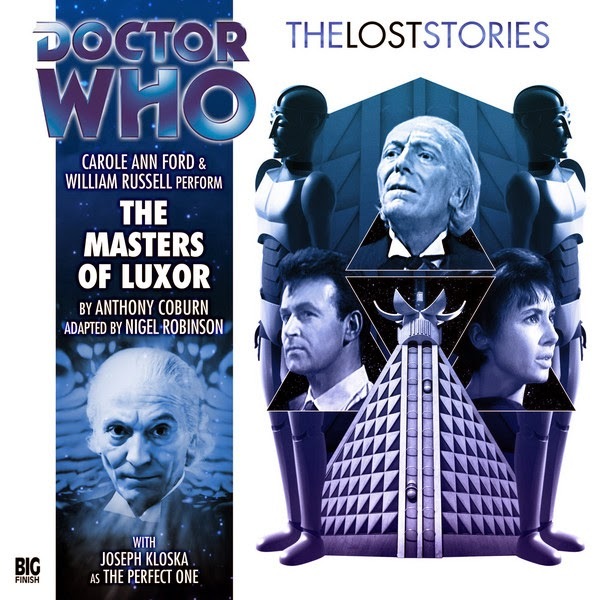 There are points during The Masters of Luxor when you might want the action sped up, but even that evokes similarities to the kind of sprawling epics of the era - there’s an essence of The Keys of Marinus here. Speaking of Marinus, if you’ve ever seen that story, you’ll think you know the Voord. Wet-suited, rubber-masked, flipper-footed thugs who flip flop about the place being threatening but looking very very silly, right? Not any more. 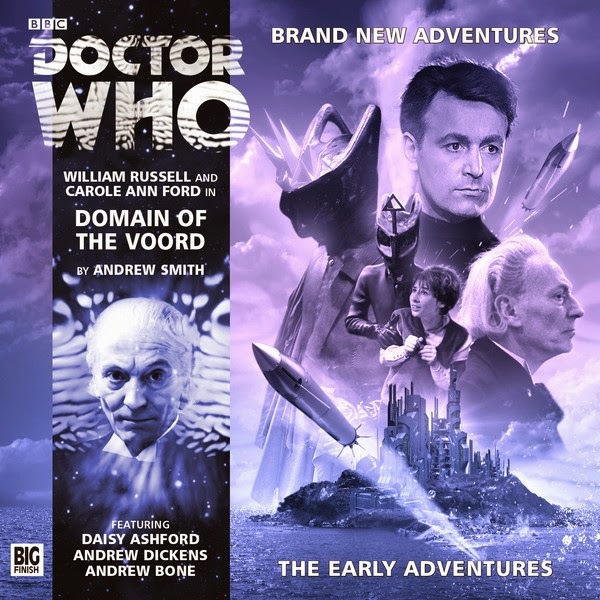 Domain of the Voord by Andrew Smith reclaims the Voord utterly, giving them a credible backstory, a social structure, a terrifying reality and, above all, an intelligence you can respect in the same league as the Daleks. This is breathtaking stuff, with the original Tardis crew being voiced by William Russell (who does a highly credible Hartnell) and Carole Ann Ford, whose Barbara is perhaps slightly more measured than Jacqueline Hill’s was in all circumstances. But once you’ve pressed ‘play’ on this one, you’re in for the ride – it’s epic without ever sprawling, and a real nail-biter. 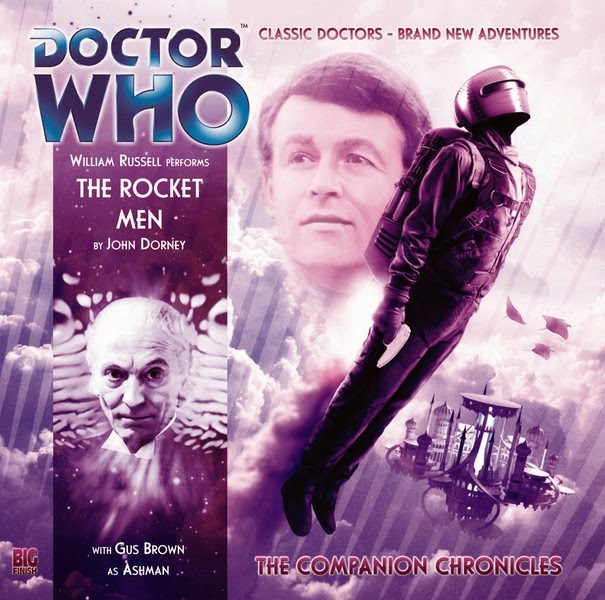 There was of course an American adventure serial called The Rocket Men, and this story essentially takes the premise of that – men who wear rocket packs to soar about the sky – and Doctor Whos it right up. William Russell’s Ian is the first companion to don a rocket pack, which seems eminently right – Ian is nothing if not a dependable hero – and here he battles bullies in a pacy, almost breathless story that evokes the spirit of all those cliffhanger-laden adventure serials. The Rocket Men launches a new threat in the Doctor Who universe, and pitches it perfectly for the era of the show it evokes. 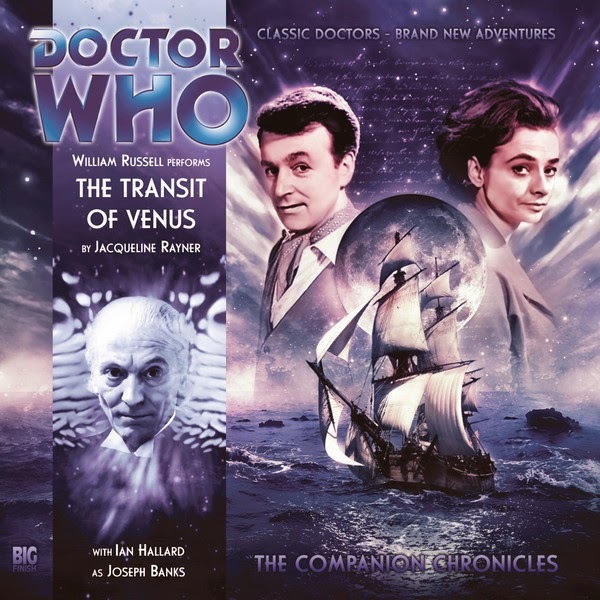 Big Finish has a particular skill for crafting audio stories that make you nod your head and think ‘I could see that going out as part of that era.’ Transit of Venus is one of those – it’s essentially a historical, where the Doctor meets Captain Cook, and the real hazards of the kind of exploration Cook and his men undertook are the points of threat. Susan and Barbara, for instance, are swept out to sea, and Ian and the Doctor spend much of the story grieving both for them and the equally lost Tardis as Cook’s journey to observe and record the transit of Venus – a vital navigational experiment that helped establish the longitude by which sailors could know the accurate time away from home - continues. There’s an additional creepy layer of psychic chicanery, and a resolution which the show would very much have delivered back in the first half of the 1960s. One of the handful of early companions who never really got the proper backstory or character development they deserved was Steven Taylor, played then and now by Peter Purves. Here in a pseudo-historical with alien influences (like The Visitation or The Shakespeare Code, only rather more gritty and real than either of those stories), we see Steven, Dodo and the Doctor in Russia on the eve of Napoleon’s ill-fated invasion in 1812. The story shows the kind of thing we rarely get to observe in on-screen Who, the travellers becoming a part of their environment, as they genuinely integrate into a small Russian community, each using the skills they have to carve a genuine niche over quite some time. And as the story is told from Steven’s perspective, we learn a lot more about the loyal, occasionally exasperated astronaut, coming out with an appreciation of him that puts him on a par with Tegan Jovanka or Amy Pond. This is Big Finish being brave. There’s something almost sacrilegious about creating an entirely new companion for the First Doctor – indeed for any of the first four, somehow, but especially the First Doctor – and yet here he is. Oliver Harper, trader on the London stock exchange, from the 1960s. Oliver has a ‘terrible secret,’ and when we meet him in The Perpetual Bond, he’s about to run away from everything his life has been. His three-story arc is a thing of beauty, seeing the character grow through acceptance, and in The Cold Equations (which is the second instalment of the three) he reveals his secret to Steven, who it turns out doesn’t care. Each of these stories brings a different aspect of early Who to bear, and through interaction with Oliver, we also gain a far greater insight into Steven’s character, with The Cold Equations showing both his training, and the fundamental sweetness of his nature, to great effect. 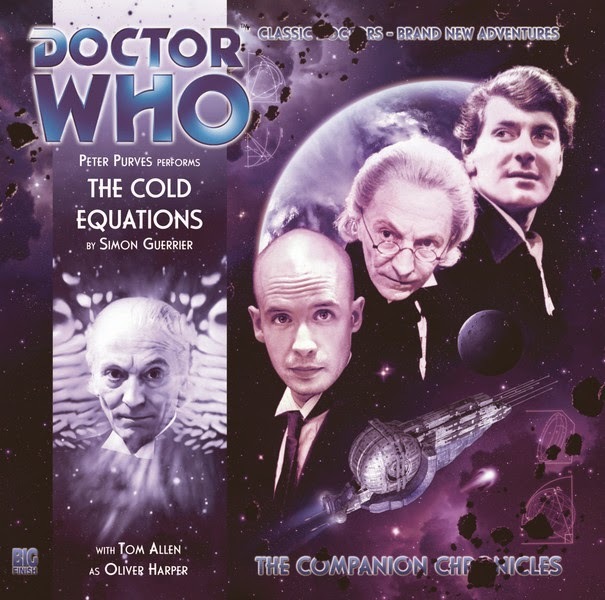 To follow Oliver’s arc right through, start with The Perpetual Bond, then get The Cold Equations, and finally, pick up The First Wave to find out what happens to Oliver when the First Doctor meets (pause for effect) the Vardans. Other listeners will have other favourites – by all means add your recommendations or views in the comments – but if you’re going to start your Big Finish listening with the First Doctor (and the joy of course is you really don’t have to, but by all means can), this happy handful should be enough to get you into the Big Finish ethos, and give you a sense for the company’s ability to recreate in audio exactly the Who you’re looking for, and exactly the Who you never dreamed was possible.